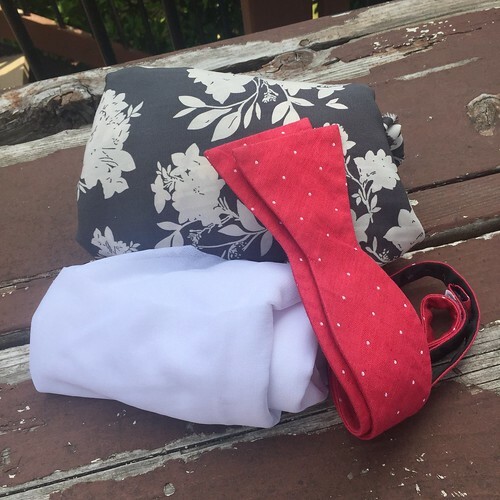 Bow ties never went out of style, but they are enjoying the spotlight again at the moment. 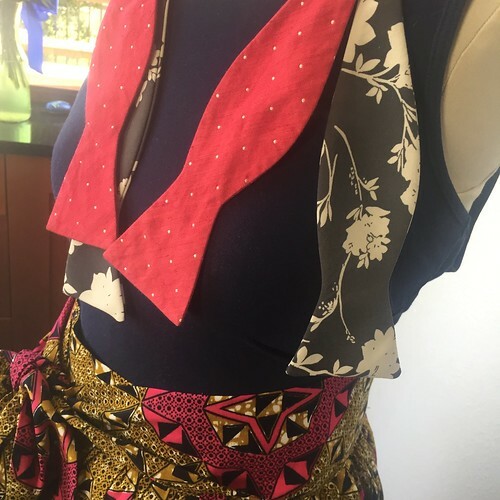 My sons and partner all enjoy wearing this type of neckwear and it is not only satisfying to make them, it is the absolute perfect opportunity to add some panache to the wardrobe. 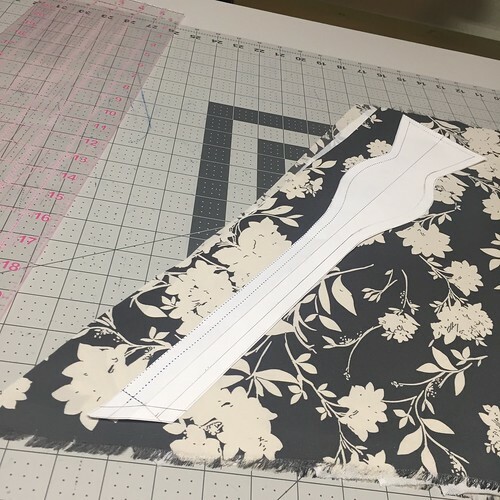 In order to make a bow tie, ideally you’d have a properly fitted one (or a mockup cut out of a piece of woven fabric) to make your pattern. 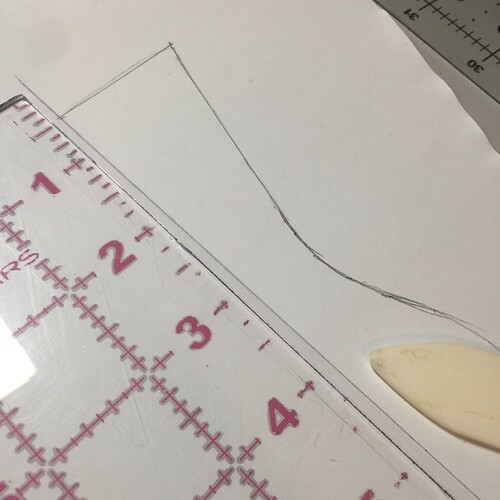 If you are starting without a tie to trace, you will need to draw up your own. 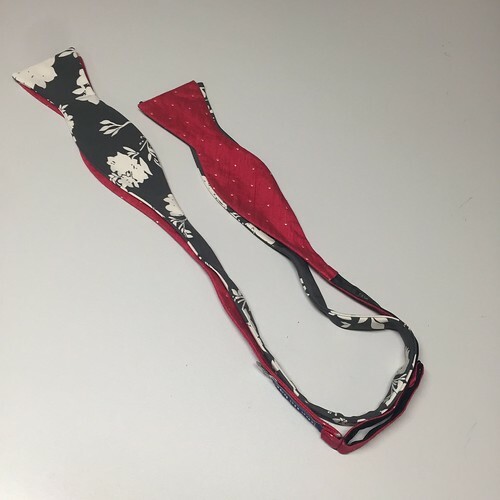 The shape of the tie is a long straight stretch for around the neck, ending in the trademark fish-like shape at the ends (there are doubtless many templates online). 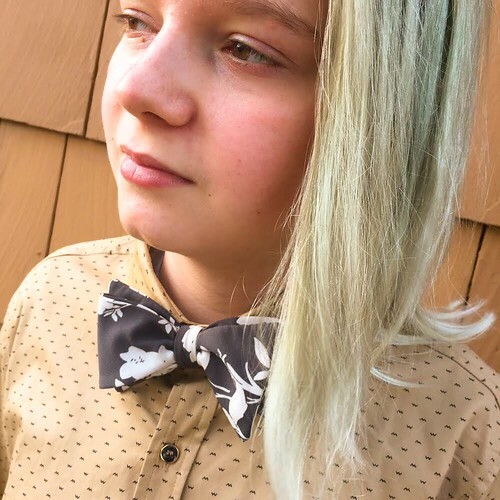 The bow tie shown here has a straight stretch of 5″ longer than my son’s neckline; that accounts for the knot to tie. 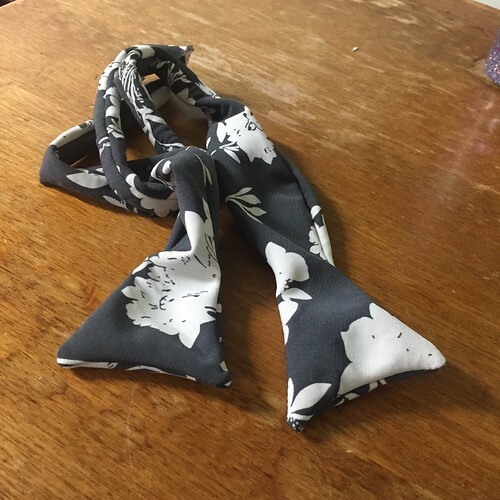 It can be fiddly getting the right length, but remember once you have it down you have the right tie for life. 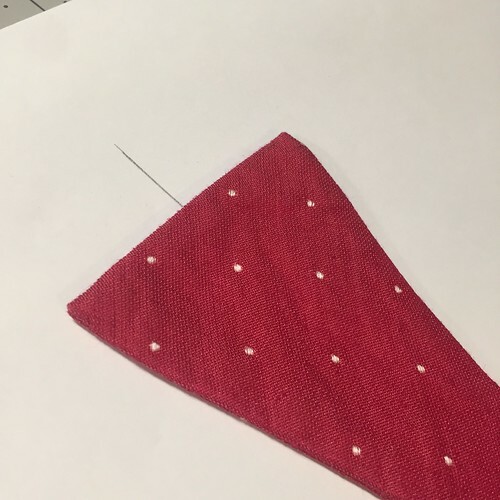 I recommend you purchase a high-quality adjustable tie (like the red swiss dot version shown below), tie it on your intended client, and make the pattern from there. 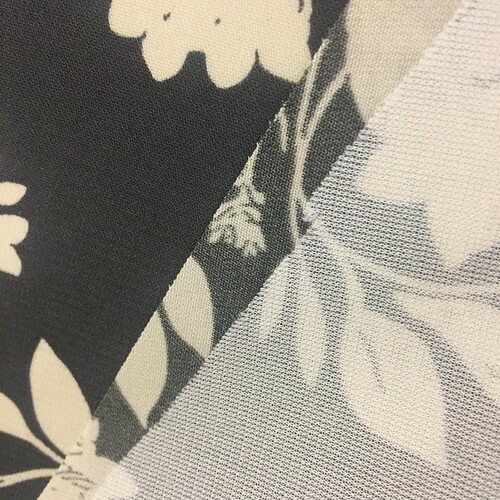 Shown below next to the tie I’m copying: the fabric I’ll be using – a gorgeous rayon faille – and a very lightweight knit interfacing. 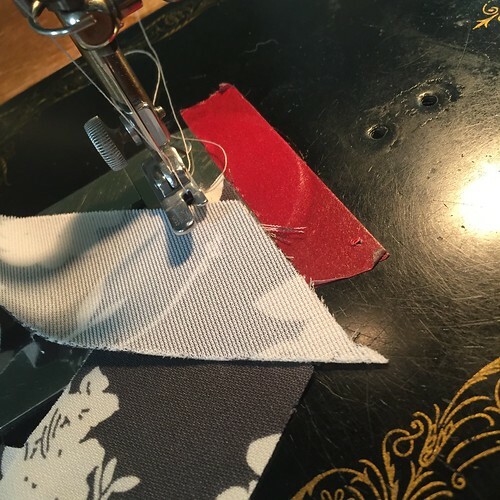 You will only need a feather- or lightweight interfacing and make sure it has stretch, or the loveliness of cutting on the bias will be for naught. 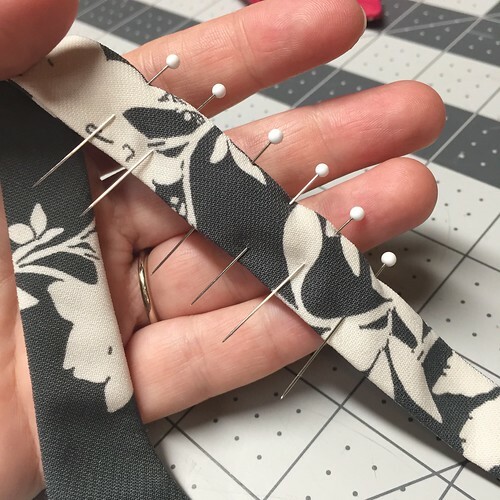 If your interfacing is too thick the tie will be hard to turn. 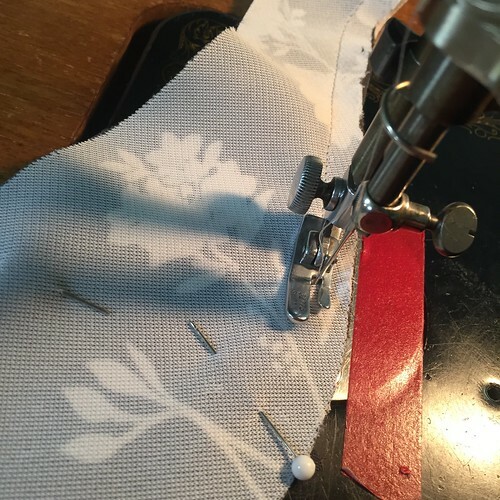 You will also need blank paper and pencil, a transparent ruler, and tracing wheel and paper. 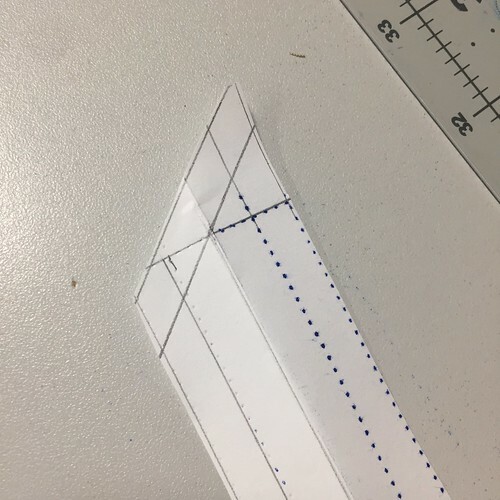 We will be folding the example tie in half and tracing only 1/4 of the tie, then folding our paper and using our tracing implements to get the symmetrical shape. 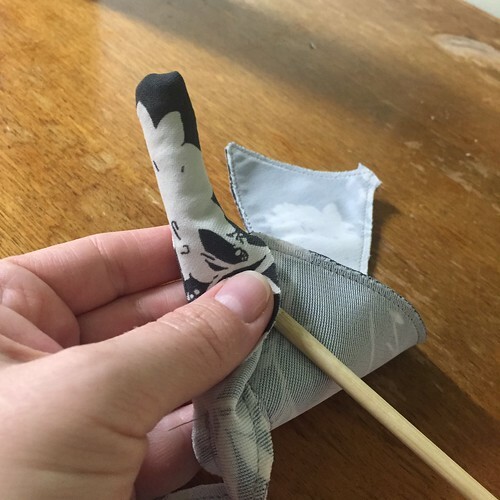 Folding the tie in half, I place the short folded end a the base of the “T” with the wide end at the leg of this “T”, bisecting the entire tie. Then, I trace. 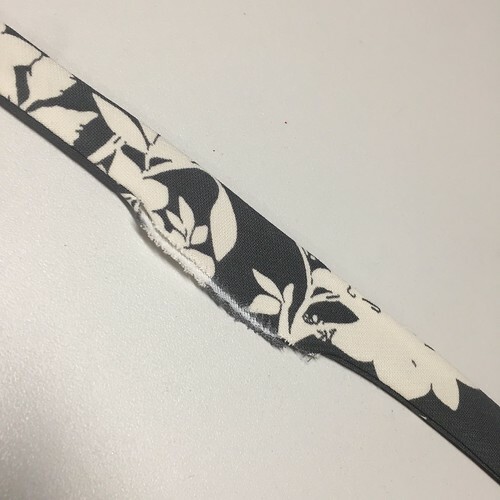 Beware you don’t make the straight stretch of the tie any thinner than about 3/4″, or you may have trouble turning it. 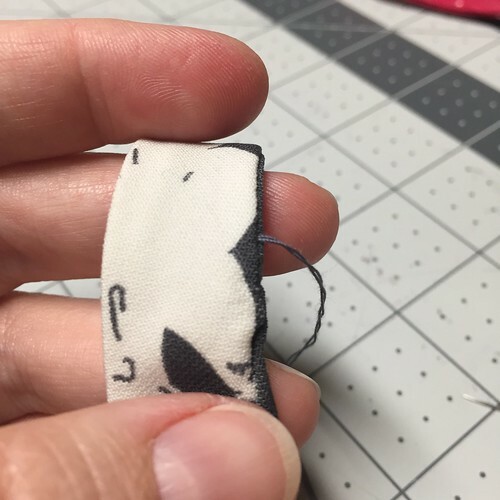 After tracing add your seam allowance to this 1/4 of the tie (I used a 3/8″). 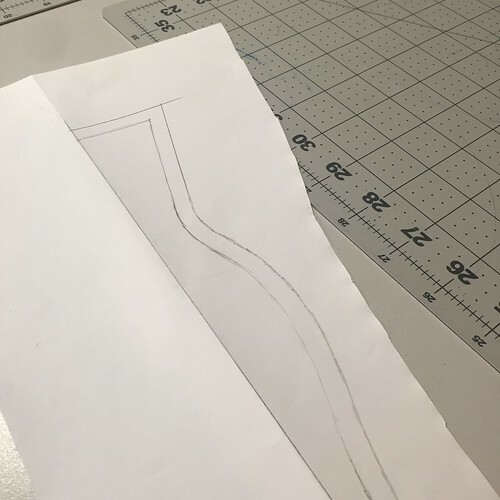 Then fold your paper down that long center line and trace both the stitching line and the seam allowance, using your carbon paper. 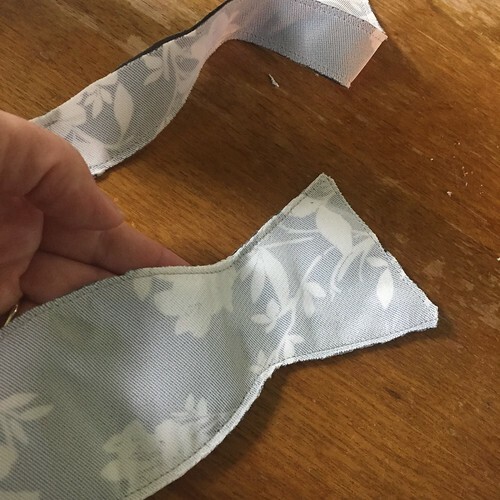 So when you are finished, you will have half a tie traced, including seam allownaces. 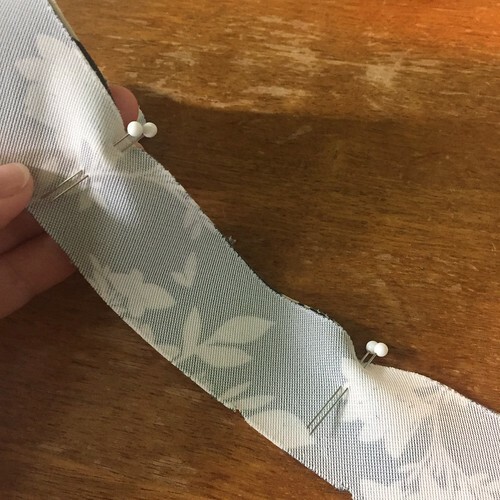 Instead of having a bulky center seam down the middle of the tie, I drafted a bias-seam for the join. This can seem confusing but it is quite simple. The short end of the tie (the top of the “T” I drew above) represents the center line (back of the neck) of the tie. 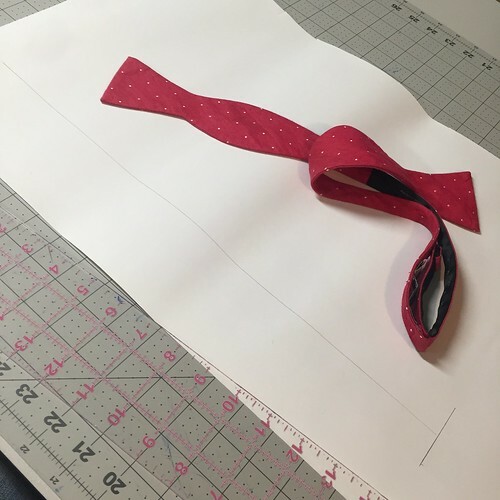 Simply draw a 45 degree angle through the center of the tie, and add your seam allowance to that line. 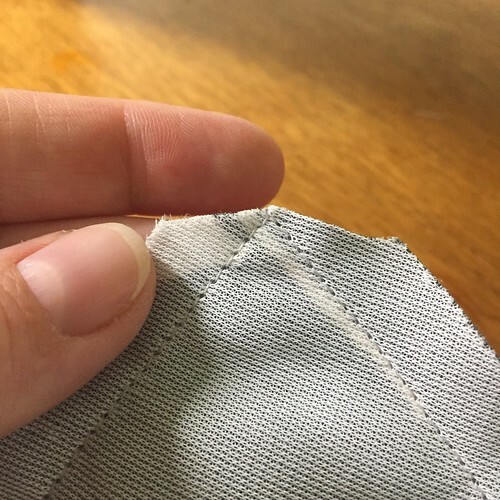 Press these seam allowances open and grade them. 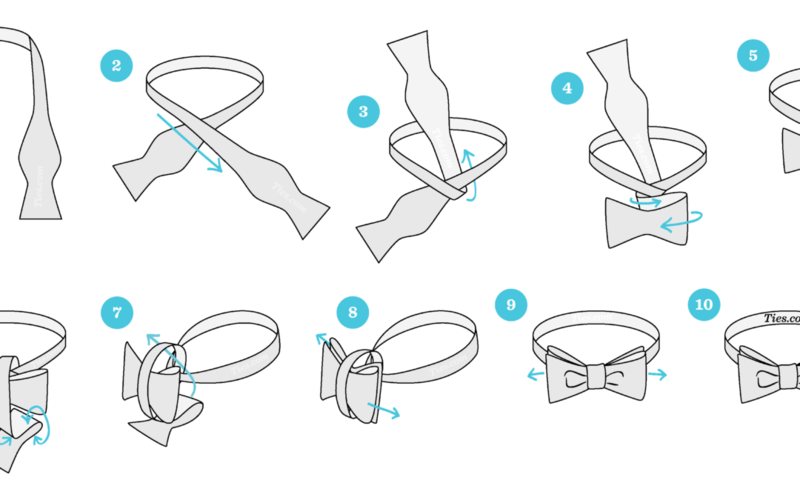 You can use this opportunity to tie the tie around the neck of your recipient, to make sure the length is appropriate. Go slowly around the curves; this is going to yield a beautiful result! 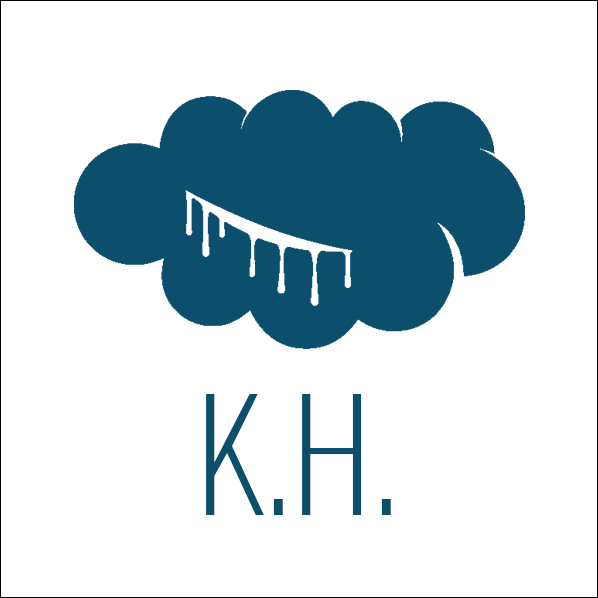 And – all finished! 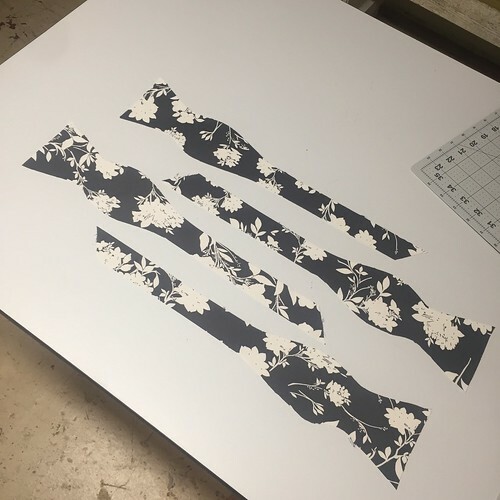 Provided our finished accessory is the right size, we now have a paper template and can make as many gorgeous ties as we like.